With the unfortunate recent demise of Actors Theatre, it's so important that we all band together to support the arts in the Valley. While most arts organizations are sending out last minute reminders about donations today, we want to touch upon a few that have fund raising drives going at full steam and who are expanding onto bigger horizons next year. 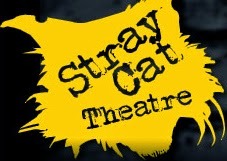 Stray Cat Theatre is planning a move to the Tempe Center for the Arts for their 2015-2016 season- click here for more info about how you can donate to support their move. 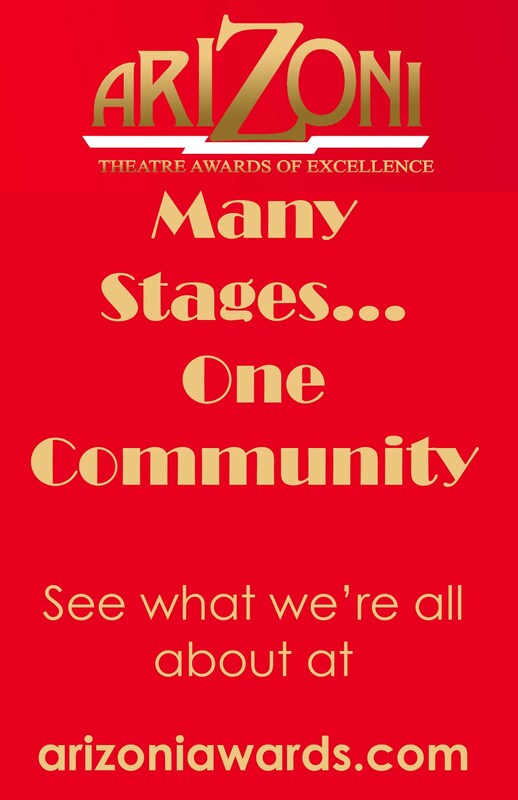 Desert Stages Theatre is also planning a move- from their current location into a brand new theatre space inside the Scottsdale Fashion Mall - click here to help support their move. 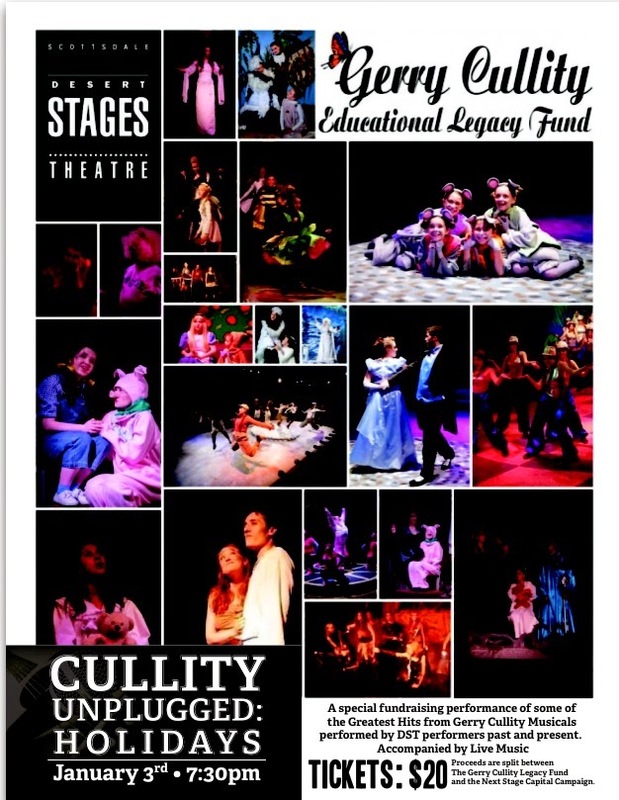 Nearly Naked Theatre is in the middle of their annual fund drive - click here to support their unique productions and to ensure they continue bringing them to theatregoers in town. 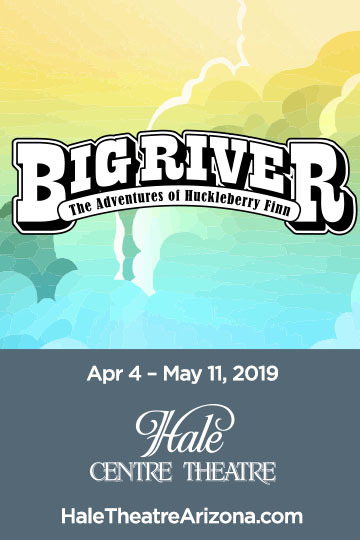 For more information on God's Favorite, that runs March 3 - April 3, just click here. 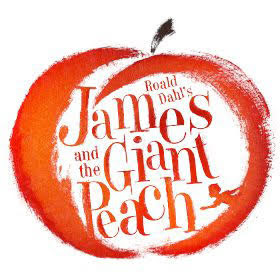 For more information on this production, that runs January 16- Feb 1, click here. Thanks to all of you and the support of our wonderful sponsors and advertisers, PHX Stages just hit 1,000 Facebook "likes" and 8,000 page views in just five and a half weeks since the site officially launched! 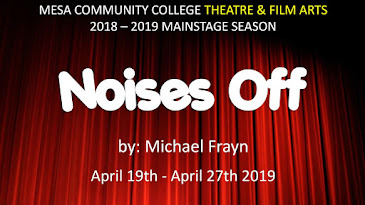 I had this crazy idea back in early October to create a website that encompassed all of the great theatre in the Valley - from professional, to semi-professional, community theatre, children's theatre. 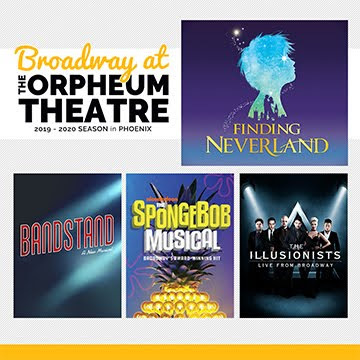 concerts and even the Broadway themed shows at the Symphony - a "one stop shop" for everything theater in Phoenix - and have been overjoyed with the enthusiastic response the site has received. 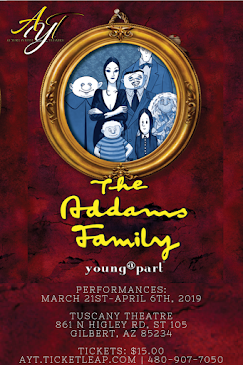 While the site is mainly a labor of love I want to thank the theatre companies in town who realized the void that this site would fill and who came aboard not just as advertisers but as site sponsors. I'm happy to report that while we list information for close to 30 theatre companies and arts organizations on the site for free, that, currently, 20 of those companies, seeing the value that our extremely low cost advertising provides, are full year advertisers and that the monthly "site sponsor" spots are sold out for the rest of the 2014-2015 season. Without their sponsorship this site couldn't be possible. But this site wouldn't be a success without you, the theatergoer. 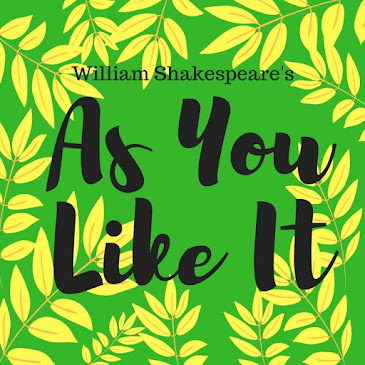 You've not only given us some great feedback on the site, told us other theatre companies that we should list and have "liked" us on Facebook but you are the ones who are buying tickets and keeping the arts alive in the Valley. 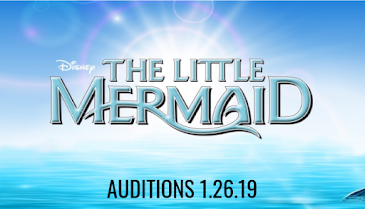 For more information go to Durant Communications page specifically for this audition by clicking here. 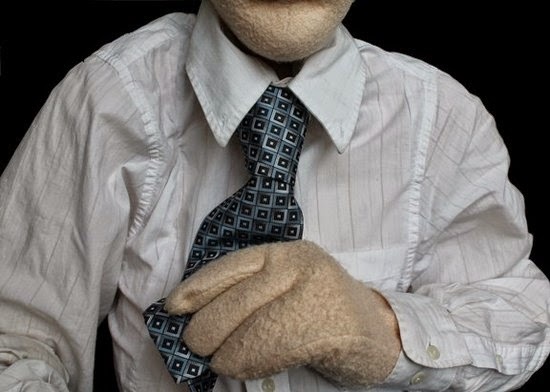 An all puppet spoof of the adult “erotica” Fifty Shades of Gray. 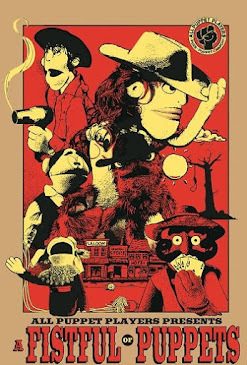 Puppets will be performed like Avenue Q only actors will be wearing masks. This is a “remount” of last year’s hit show for Nearly Naked. 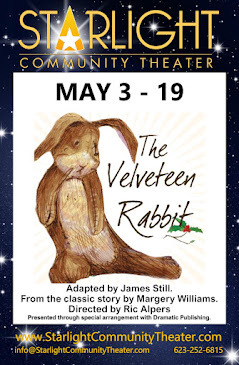 This will be the first show All Puppet Players will produce for their new season in their new space at Playhouse on The Park at The Viad Corporate Center. NOTE: The shows closing weekend actually performs in Fullerton, California on March 1st. Lodging, food and travel will all be covered. Looking for 3 actors who would play multiple characters. This is a chance to do something completely different. Looking for actors to train to be puppeteers. NO PUPPET EXPERIENCE REQUIRED. All Puppet Players have been hailed by The Arizona Republic as “The Best New Theater Company” last year. Our planned season included Fifty Shades, Puppet Wars (A Star Wars spoof) and The Exorcist Has No Legs. We have been nominated for AriZoni awards for script and supporting actors for Fifty Shades as well. Cold read from script. Please prepare a few character voices and plan on some light puppetry. We are looking for great actors who we can teach puppetry to. So please do not let the puppets scare you off. NO PUPPET EXPERIENCE REQUIRED. Rehearsal room B is located behind Phoenix Theater’s black box space. Actors Theatre will liquidate all assets and close its doors within the next 60 days. 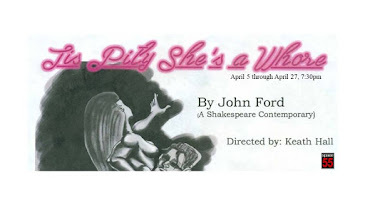 Arizona Theatre Company, Arizona Broadway Theatre, ChildsPlay, Phoenix Theatre, Stray Cat Theatre and Theater Works have agreed to let Actors Theatre patrons swap tickets. 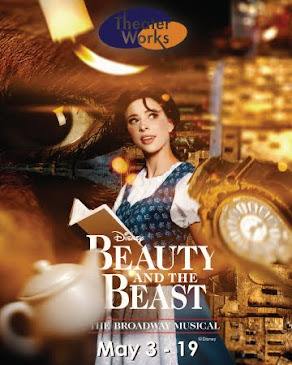 • Theater Works (www.theaterworks.org), 8355 W. Peoria Ave., Peoria; (623) 815-7930. 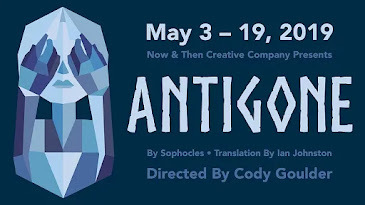 Actors Theatre productions canceled this season include Annapurna, Stage Kiss and The Year of Magical Thinking. 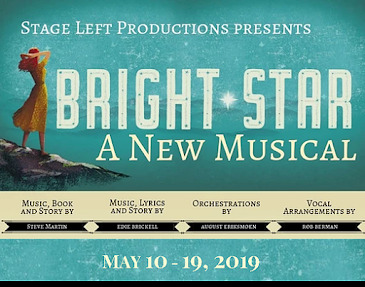 Welcome Spotlight Youth Theatre to PHX Stages! 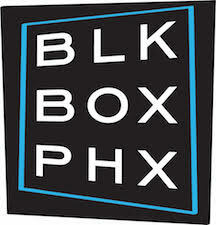 Spotlight Youth Theatre is the latest addition to PHX Stages- all of their shows will be added to the site shortly. 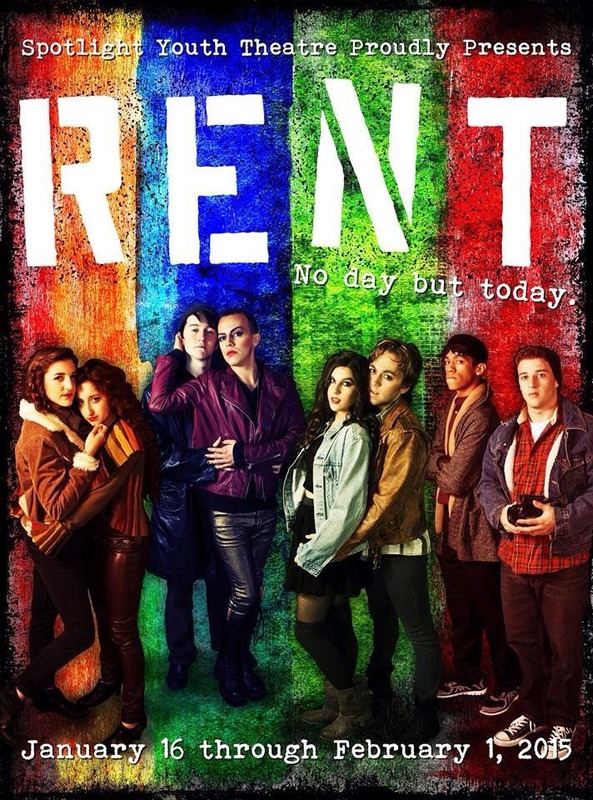 Their production of Rent starts on January 16th. Join us on Saturday January 3rd at 7:30pm for a special fundraising performance presented to you by current and former DST performers! Live music, singing, dancing, and so much fun! 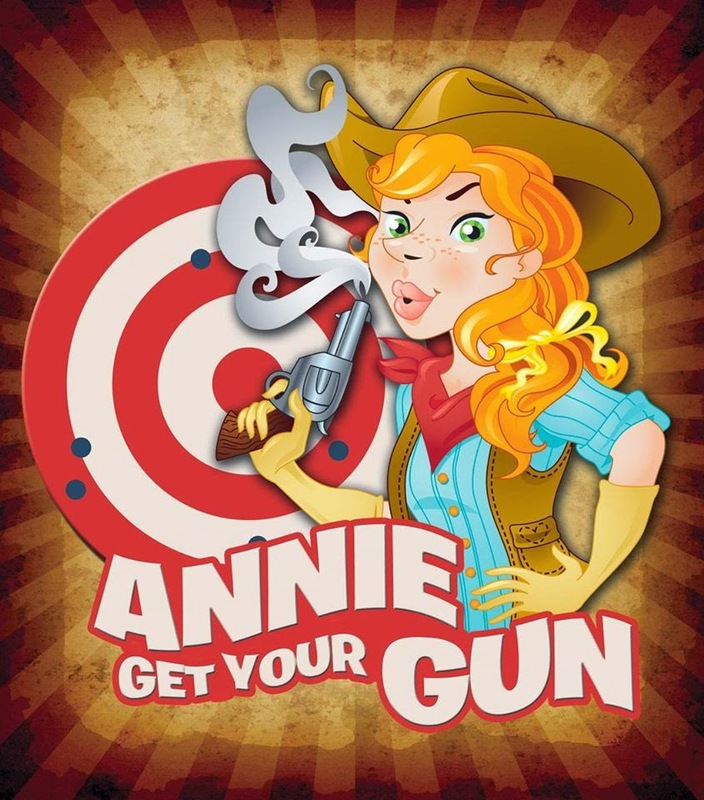 Cast announced for The Palms' Annie Get Your Gun - performances run January 14- February 14, click here for more information on this production. Nearly Naked Theatre is looking for a Sound Engineer 2 or "B" for their upcoming production of DEBBIE DOES DALLAS. Experience with running/mixing microphones. Contact Dee Phipps at the link below ASAP with resume or experience summary. This is a paid position. 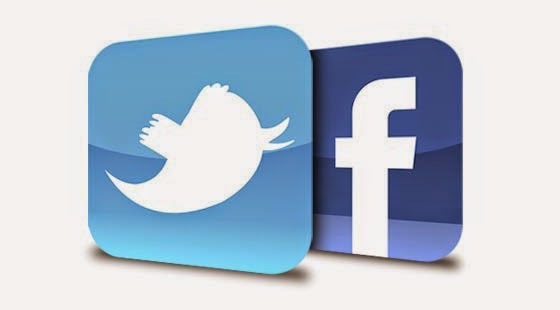 Contact Dee Phipps on Facebook by clicking here. 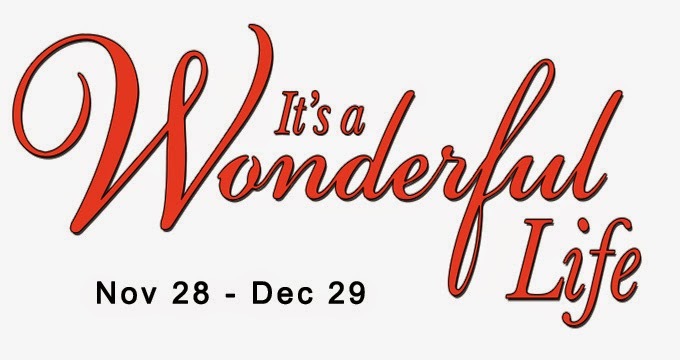 For more information on this production that runs until January 25th, click here. photos of Michael Greer and Kate Dulcich in You Say Tomato, I Say Shut Up! The national tour of the hilarious new show You Say Tomato, I Say Shut Up! 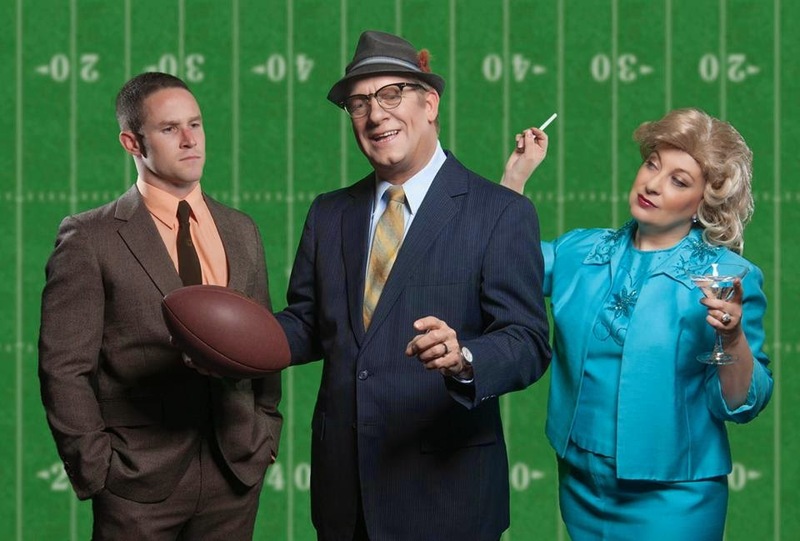 will have its Arizona premiere at The Herberger Theater Center. After 17 years of marriage, writers-actors-and real-life-married-couple Annabelle Gurwitch (Dinner and a Movie, Fired!) and Emmy Award winner Jeff Kahn (The Ben Stiller Show, The 40-Year-Old Virgin) have adapted their hilarious, often moving, memoir, You Say Tomato, I Say Shut Up!, for the stage. 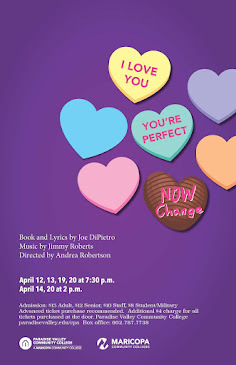 Directed by Van Kaplan, the show stars Robin Abramson and Gregory Johnstone who have been hailed for their roles in this play. You Say Tomato, I Say Shut Up!, is touring the country with stops in Boston, Phoenix, Florida, Michigan, Ohio, Philadelphia and Pittsburgh. The book was developed through sold-out performances at The Comedy Central Theatre and at Upright Citizens Brigade in Los Angeles, and made its New York premiere at The New York Comedy Festival in 2009. For up-to-date information, please visit www.thetomatocomedy.com. 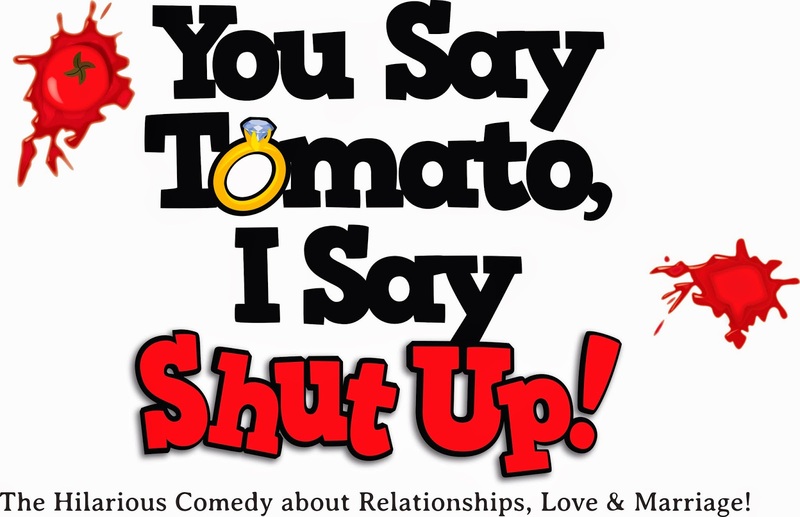 Tickets for You Say Tomato, I Say Shut Up!, are $43-$53 and can be purchased at www.playhouseinfo.com or at the Herberger Theater Center, (602) 254-7399 or www.herbergertheater.org. 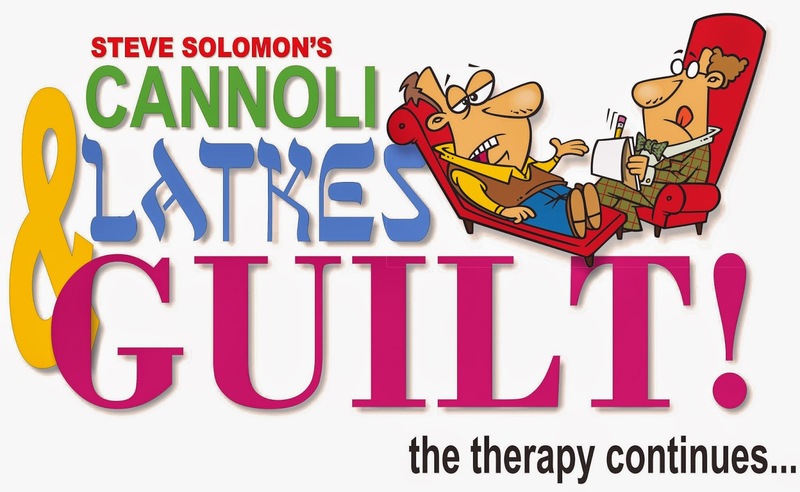 Steve Solomon’s newest collection of side-splitting stories, Cannoli, Latkes, and Guilt … The Therapy Continues, will have its Arizona premiere at The Herberger Theater Center. 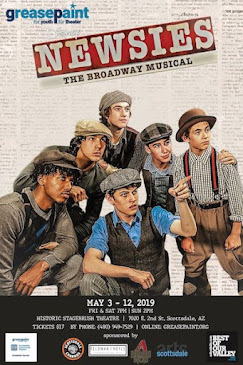 Solomon’ newest show once again showcases his impressive comedic talent, inimitable story-telling ability and his funny and clever facility with words, accents and sounds. The show contains a lot of new material, as well as the very best of Solomon’s previous work which includes My Mother’s Italian, My Father’s Jewish & I’m in Therapy; My Mother’s Italian, My Father’s Jewish & I’m STILL in Therapy; and his holiday show, and personal favorite, My Mother’s Italian, My Father’s Jewish .... & I'm Home For the Holidays. Solomon’s humor is universal, and universally loved. 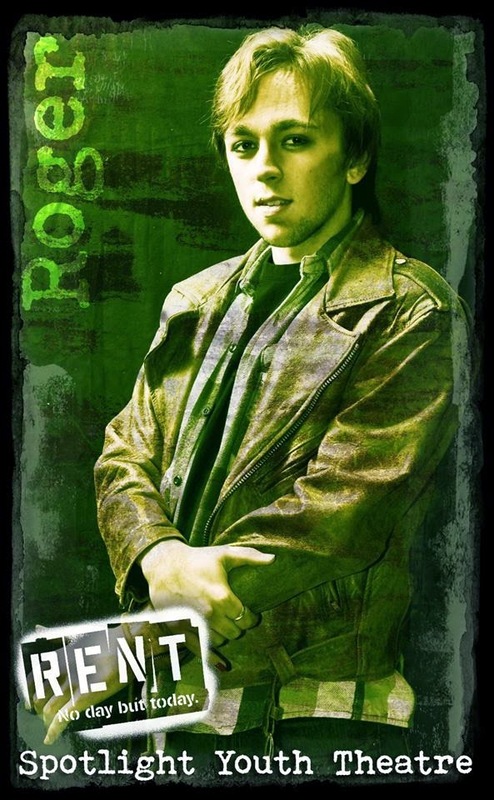 Enhanced by his talent for impersonation and his mastery of different dialects, he does approximately 20 different characters and voices in his shows. His stories about his mixed-heritage Italian/Jewish family resonate with everyone, no matter what their ethnicity, and have delighted and entertained audiences for over 3200 performances. 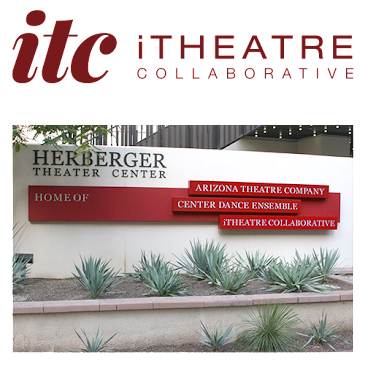 Tickets for Cannoli, Latkes, and Guilt … The Therapy Continues are $43-$53 and can be purchased at www.playhouseinfo.com or at the Herberger Theater Center, (602) 254-7399 or www.herbergertheater.org. 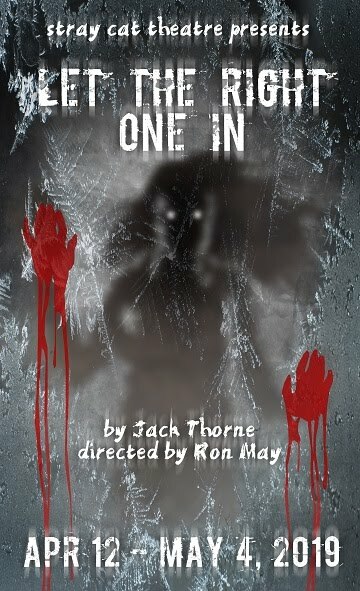 For more information, visit www.stevesolomon.net or www.herbergertheater.org. Looking for a fun, relaxing and entertaining way to wind down from a hard-days work? 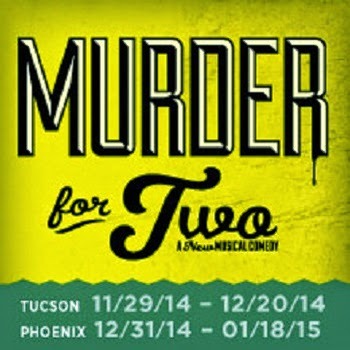 Arizona Theatre Company may have the answer with Theatre in the Park at Zazu Pannee, 1502 E. Osborn Road, a free 30-minute performance of selections from the zany musical comedy whodunit, Murder for Two, on Wednesday, Jan. 7, 2015. 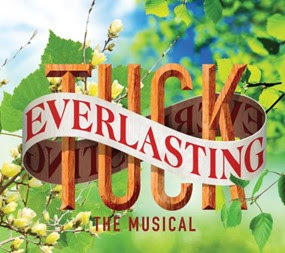 Theatre in the Park begins at 5:30 p.m. with a happy hour selection of wine, appetizers and soft drinks. The performance featuring composer Joe Kinsosian and his on-stage partner Ian Lowe begins at 6:30. 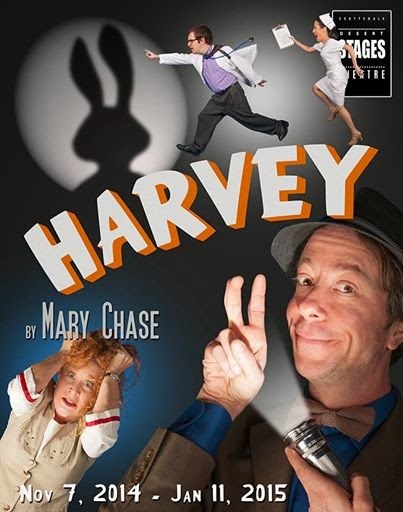 There is no charge for the performance, but reservations are preferred by calling Gary Edwards at (602) 509-0305. Street parking is adjacent to the United Way parking lot. 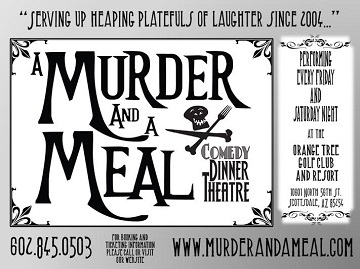 Kinosian and Lowe will offer a laugh-out-loud glimpse of the musical comedy whodunit with the classic feel of a murder mystery and a contemporary homage to vintage comedy – with some cheeky references to murder mysteries that have come before thrown in. Paradise Valley Community College's Summer musical is Spamalot! Lovingly ripped off from the classic film comedy MONTY PYTHON AND THE HOLY GRAIL, SPAMALOT retells the legend of King Arthur and his Knights of the Round Table, and features a bevy of beautiful show girls, not to mention cows, killer rabbits, and French people. Did we mention the bevy of beautiful show girls? 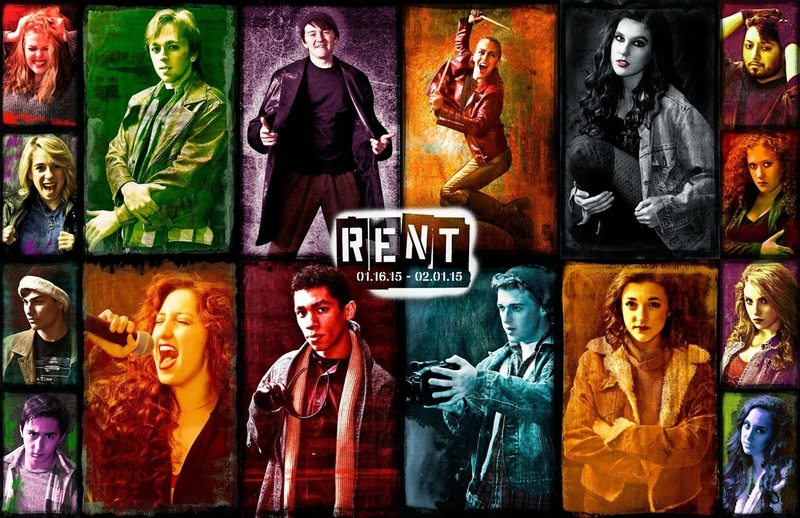 The 2005 Broadway production won three Tony Awards, including "Best Musical," and received 14 Tony Award nominations. 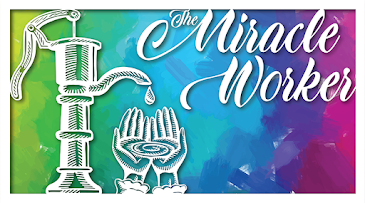 Performances on June 18th, 19th, 20th, 25th, 26th, 27th @ 7:30pm. June 21st and 28th @ 2:00pm. If you're interested in auditioning for the show they will be held on April 29th- May 2nd. 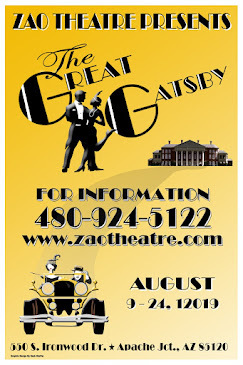 Call 602‐787‐6595 for information on auditions closer to the date. 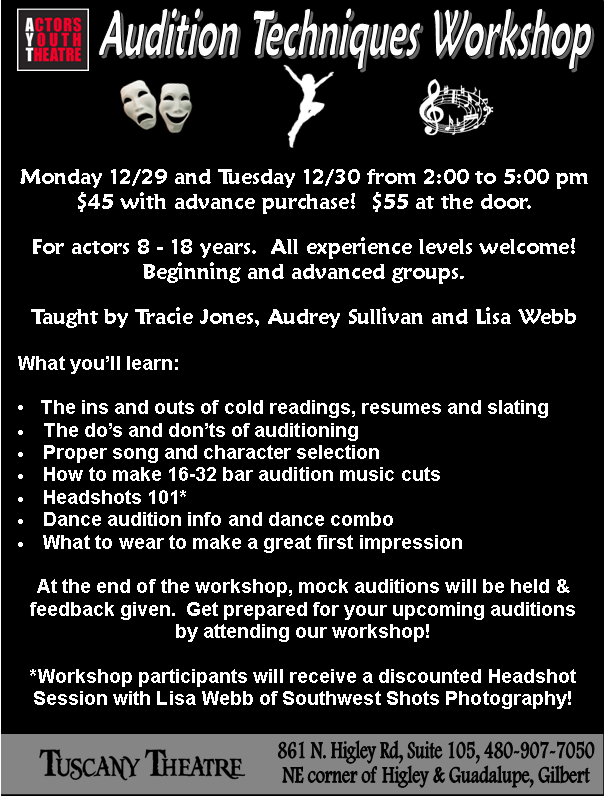 Our friends at Actor's Youth Theatre have an Audition Techniques Workshop coming up next week for actors ages 8-18. This is a perfect way to get some insider tips from the pros! On the 2nd day of the workshop, Lisa Webb, with Southwest Shots Photography, will offer 15 minute slots at $10 each for a mini headshot session. Each participant will be able to choose one headshot photo from the session, which Lisa will edit with Photoshop to professional perfection. An email of the full resolution file will be sent to each student. This is an excellent way to update your headshot at a great price! Congratulations! You made it through the holidays, and you deserve a reward! 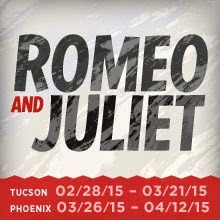 Use promo code '2015' to get 60% OFF tickets to FIVE PRESIDENTS and ROMEO AND JULIET during our Post-Holiday Sale! Tickets must be purchased online before December 31, so don't miss out! 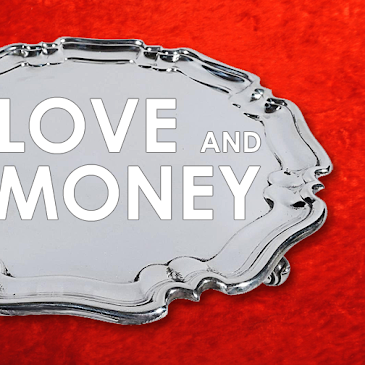 Brelby Theatre Company has come up with an ingenious new idea for ticket pricing. Their "Show Go" plan gives you unlimited access to every Brelby performance for a very small price. They are calling it "Netflix for live theatre." 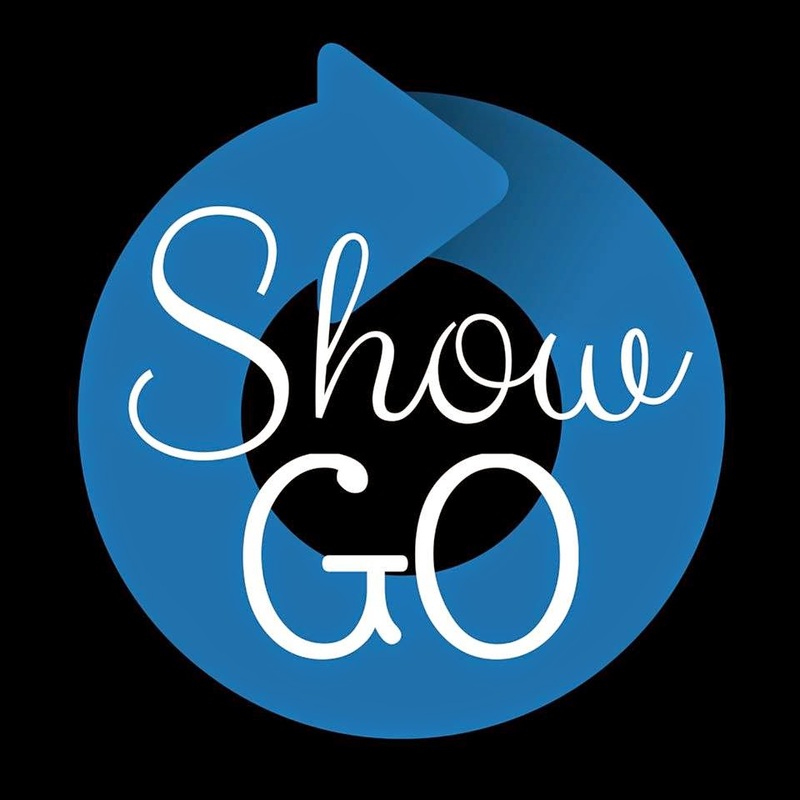 Your "Show Go" subscription allows you unlimited access to every Brelby performance - from their studio shows, musicals and plays to their readings, cabarets and improv shows. At just $10 a month it's really a no brainer as to how smart of a deal it is. And, better yet, they are offering a discounted introductory savings of $2 off, but there are only a few days left to sign up for "Show Go" at the discounted price of just $8 a month. Click here for more info and to order your Brelby "Show Go" subscription. 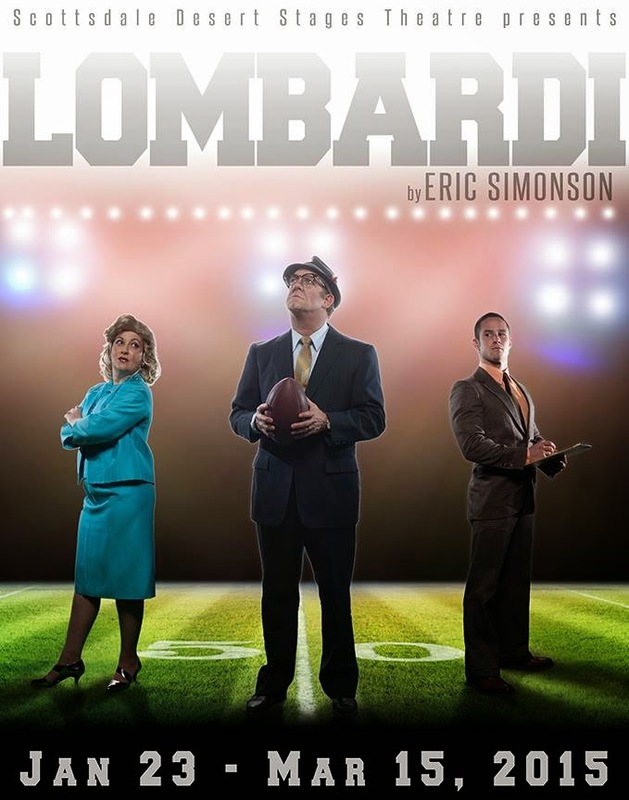 For more information on this production, that runs Jan. 23 - March 15, 2015, click here. 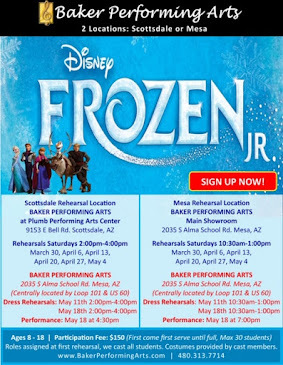 Welcome Fountain Hills Theater to PHX Stages! 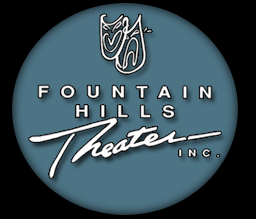 We'd like to welcome Fountain Hills Theater to PHX Stages. All of their show details will be added to our site and their performance dates added to our "What's Playing?" calendar. We'll also include their audition info, show photos and reviews. 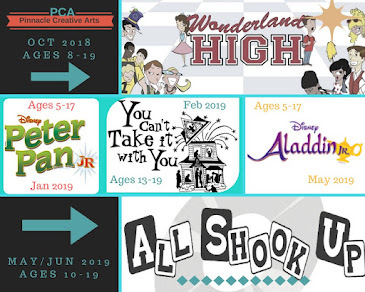 There are a few other additional theatre companies that we will also be adding to the site in the next few weeks as well as we strive to be your one stop shop for everything theatre in the Valley! 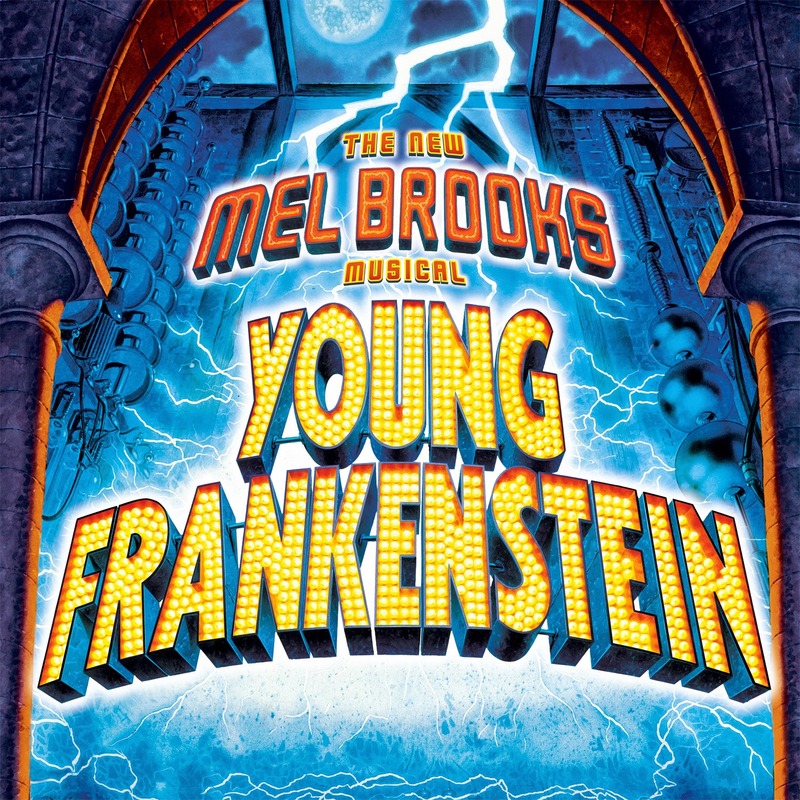 Dr. Frederick Frankenstein – Male, age 20s/30s. Brilliant brain surgeon, professor and grandson of mad scientist Dr. Victor Von Frankenstein. Vocal range: Bb one octave below middle C to G above middle C.
Igor – Male, age 20s/30s. Frederick’s faithful, bright-eyed, eager servant and friend–with a hunchback. Vocal range: D below middle C to F above middle C.
Elizabeth Benning – Female, age 20s/30s. Self-loving, “madcap”, boisterous fiancé of Frederick. Vocal range: F# below middle C to F#, top line of the treble staff. Frau Blücher (whinney..!) – Female. Intense, stern housekeeper of Frankenstein estate. 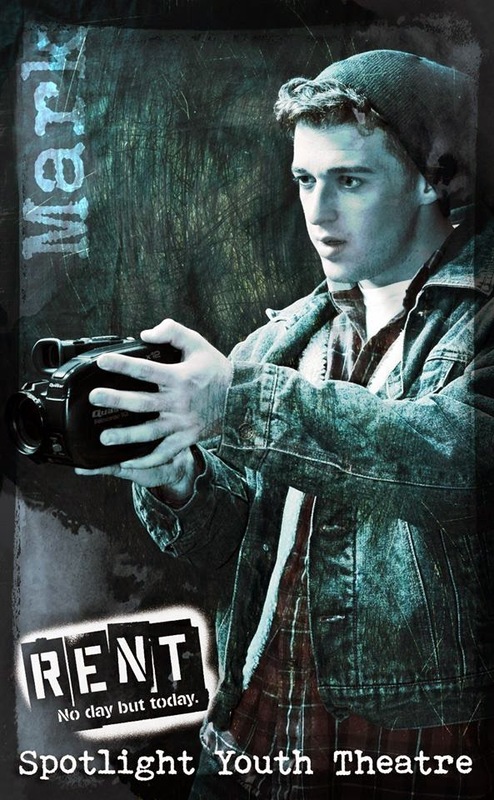 Former lover of Victor Frankenstein. Vocal range: F## (G natural) below middle C to B, third line treble staff. Inspector Hans Kemp – Male, age 40s/50s. Head of the police in Transylvania, with a wooden arm and leg. Justice-driven. A one octave below middle C to F above middle C. Will possibly double as the Blind Hermit – Lonely, poor, blind town hermit longing for a friend. Vocal range: Bb one octave below middle C to Db just above middle C.
Dr. Victor Von Frankenstein – Male, age 40s/50s. Frederick’s infamous grandfather. Vocal range: C# below middle C to G# above middle C.
Ziggy – Male, age 30s. Well-intentioned village idiot. Vocal range: F below middle C to F above middle C.
Fountain Hills is proud of the high quality theater produced in their tiny space. 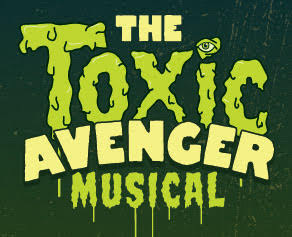 We are always open to ‘new blood’ and invite everyone to auditions for this hilarious musical. Auditioners are asked to prepare 16 – 32 bars of a song that best shows off their voice. An accompanist is provided. Please provide sheet music in the correct key. No pre-recorded music, please. Dress to move for the dance audition. Please bring resume and headshot if possible. 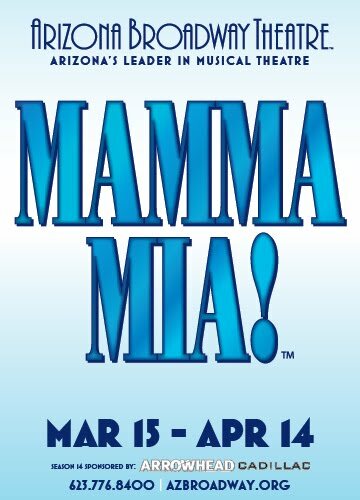 Callbacks will follow the Sunday auditions and will consist of singing from the show and additional dancing. 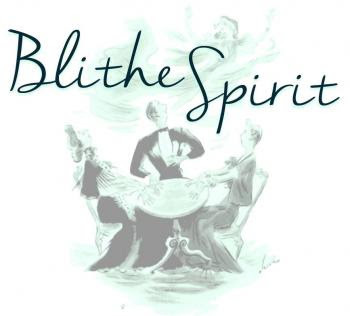 Saturday, Jan 3, 2015 beginning at 1:00pm or Sunday, Jan 4, 2015 beginning at 6:00pm. 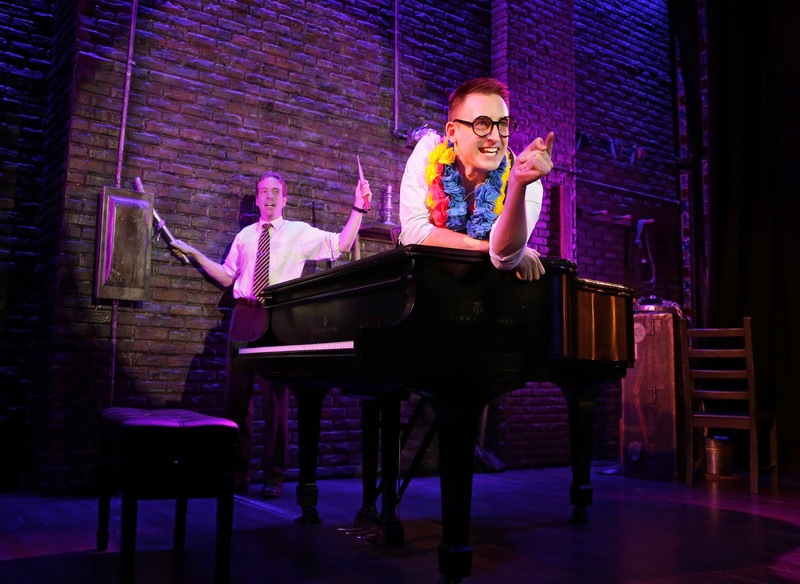 On the surface, FOLLIES is about a reunion of retired performers, meeting up one last time in their old crumbling theater, the night before it is to be torn down. But on closer examination, Follies is a surreal, heart-wrenching examination of a life in the theater and “the road you didn’t take.” Our goal is to make this production a celebration of some of the great actors and actresses who have been lighting up valley stages for decades. A former showgirl who has come back to the theater she used to perform in for the first time in 30 years. While this is a not a lead role, she is featured in several songs like Who’s That Woman and Beautiful Girls. 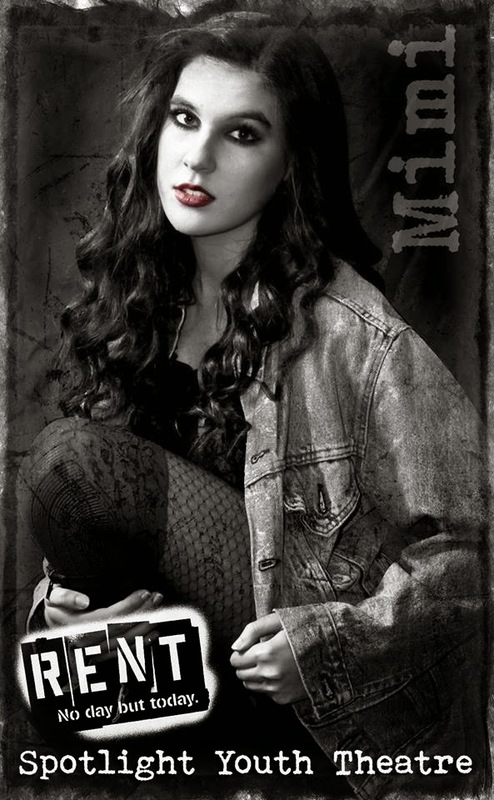 The actress we cast will also understudy several of the larger roles. 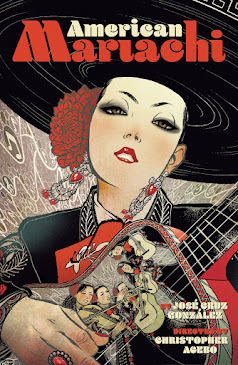 We are looking for two strong singer/dancers. One of the men we cast will also play the role of Kevin, the waiter Phyllis has a brief fling with in Act 2. 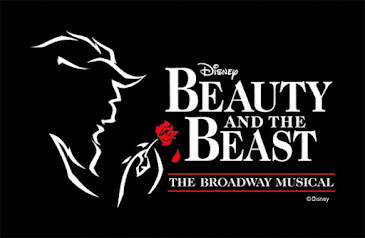 Please prepare two contrasting songs (one up tempo and one ballad) from the classic Broadway repertoire. Please limit each selection to 32 bars. There will be 3 evening and 1 matinee events to showcase these exciting scripts. Several of the chosen playwrights are new to AZWTC and we are delighted to present their works as well as our returning playwrights' plays. The order of the presentations are as follows. At the conclusion of each event, there will be a Talk Back for the audience and the playwrights. AZWTC is once again proud to bring these selected and judged works of theater for your viewing pleasure. 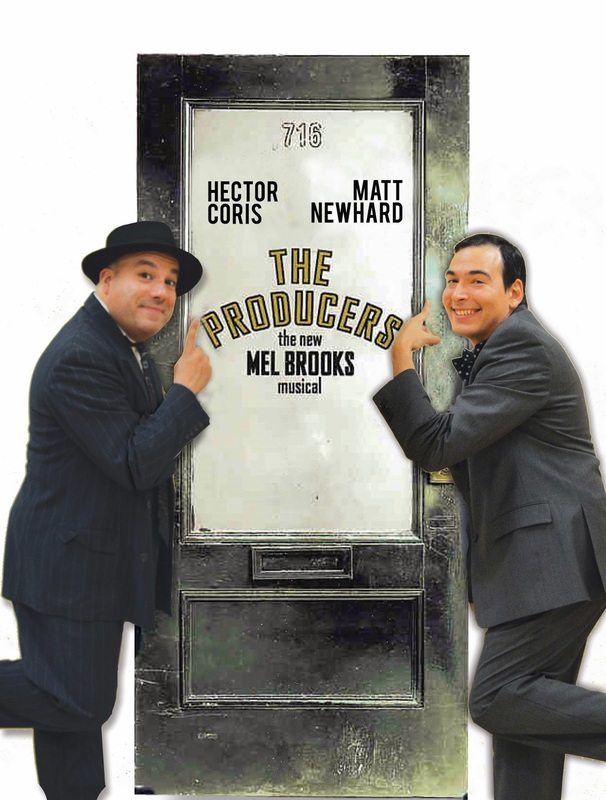 SPECIAL CHRISTMAS OFFER: Starting today thru tomorrow night ending at 6pm, Scottsdale Musical Theater Company is offering our followers a special $25 orchestra section ticket to THE PRODUCERS at Tempe Center for the Arts. 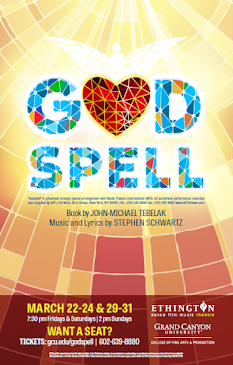 Performances are Jan. 2 @ 7:30pm, Jan. 3 at 2pm & 7:30pm; and Jan. 5 at 7:30pm. 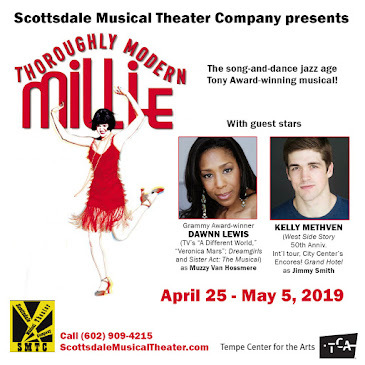 To reserve your tickets, email us at tickets@scottsdalemusicaltheater.com and advise which performance you would like to attend. Include your name and a contact phone number andwe'll call you back to confirm and arrange payment. All seats are reserved seating at TCA. SMTC wanted to extend this offer as a thank you to all of you who follow and support the work we do. 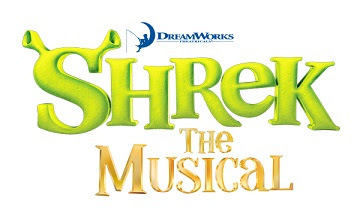 Designed for families who want to guarantee more family time together, Childsplay's Flex Ticket Packages are the best way to get the prime seats to Childsplay shows at SIGNIFICANTLY REDUCED prices! Just order a minimum of 6 tickets and then redeem whenever and for whichever performances you would like in the 2014-2015 season! Buy 20 tickets and receive 2 additional tickets FREE! Click here to order your Flex Tickets now! 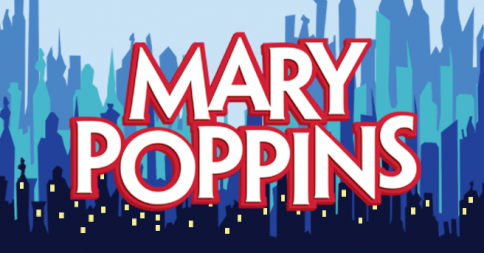 Mary Poppins has been extended through January 4th. Now you can get TWO tickets for $99 for ANY seat in the house! A savings up to 40%! 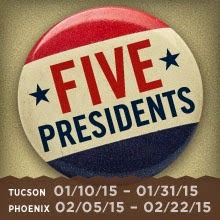 Welcome Class 6 Theatre to PHX Stages! 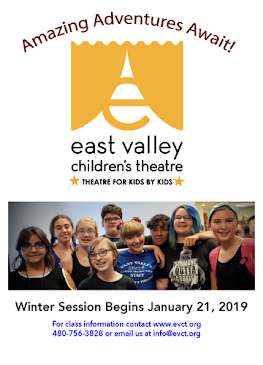 Welcome Actor's Youth Theatre to PHX Stages! 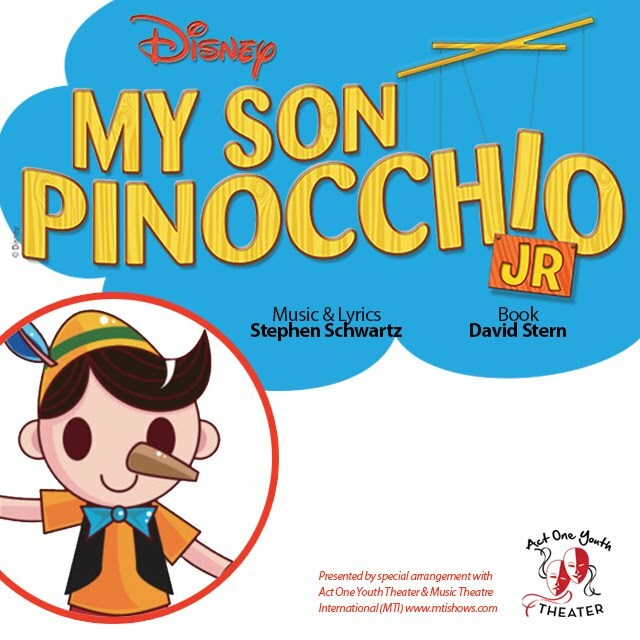 All Puppet Players - Coming to PHX Stages!